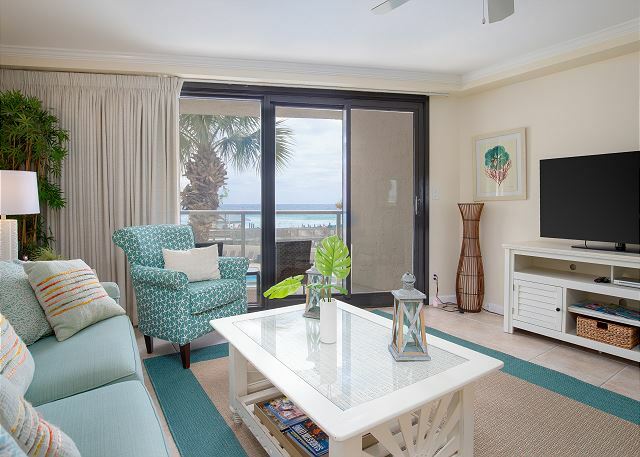 VRBO 231476 A delightful, spacious studio with wonderful gulf view. Building has direct coded access to beach and its own pool. 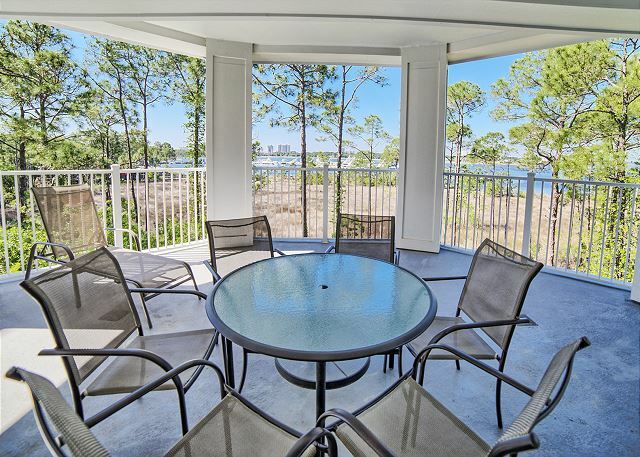 2 elevators for use-one glassed for gulf views; other west side closest to unit. 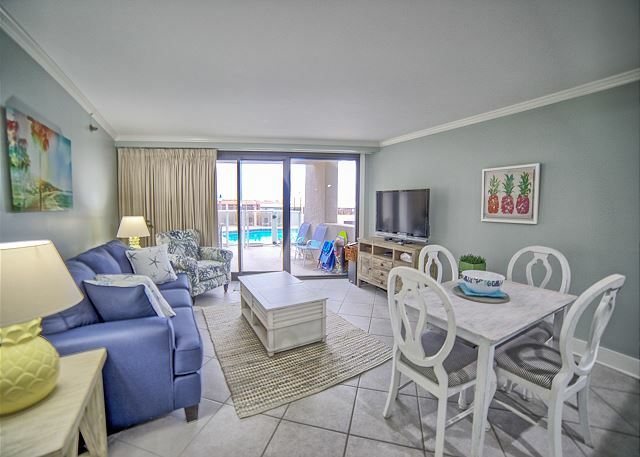 VRBO 295571 2 bedroom (king bed and twins in 2nd) /1 bath unit on main floor which is the 2nd floor of Beachside II overlooking pool with upgraded kitchen appliances and priced as one bedroom. Bright, all tile unit to enjoy. 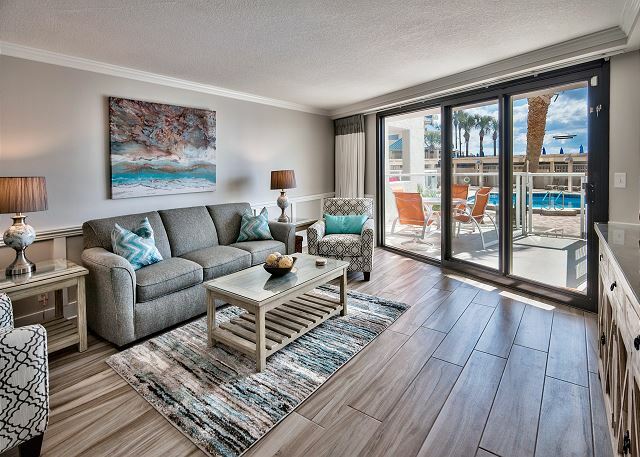 VRBO 353811 Large one bedroom plus den unit that sleeps 6. View of the Golf Course out of the very large, private balcony. 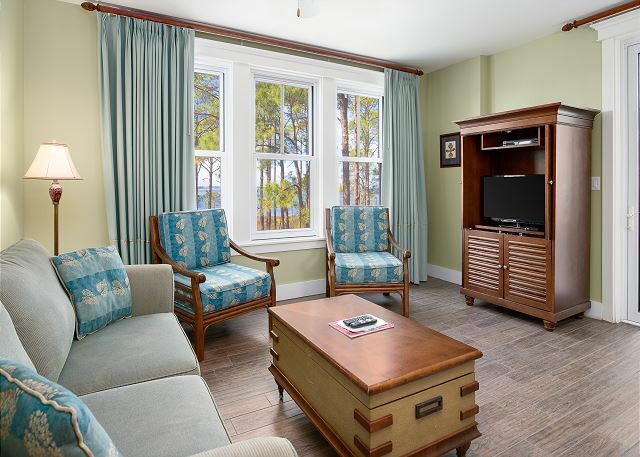 VRBO 254442 Two bedroom condo in heart of Village. TV/DVD in all rooms. Great pool, garden, grilling and fitness center facing pool located on top of covered garage. Walk downstairs to entertainment and restaurants. VRBO 254442 Great condo in ideal location, in heart of Village Wharf, just steps to its entrance. Pool on 3rd floor, garden, grilling area, nice fitness area looking toward pool area, all on top of parking garage. 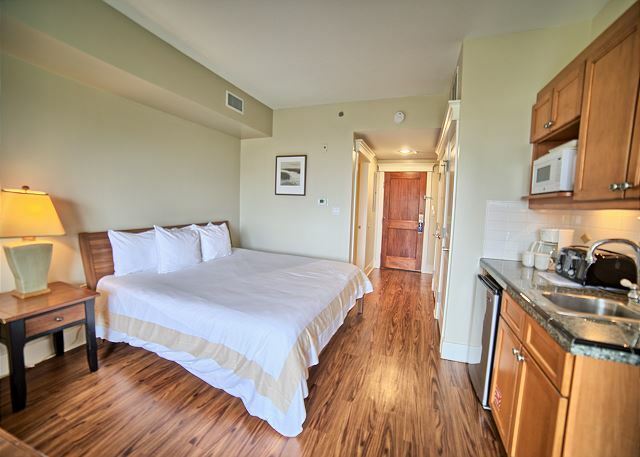 vrbo 343320 One bedroom/two bath facing the bay in excellent condition. 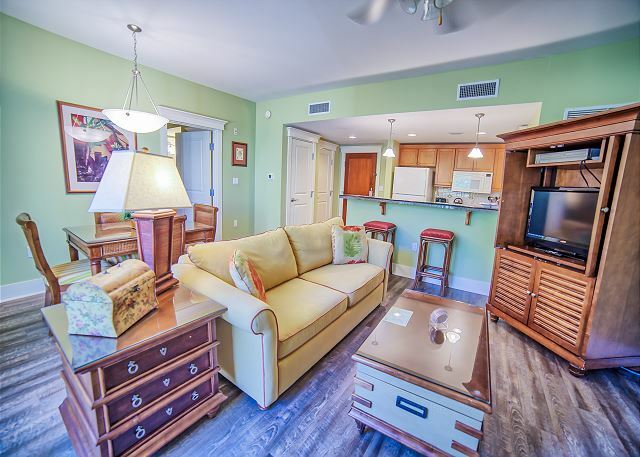 TV/DVD/free internet and fully equipped kitchen. Located on the 3rd floor with southern exposure for beautiful sunny afternoons.